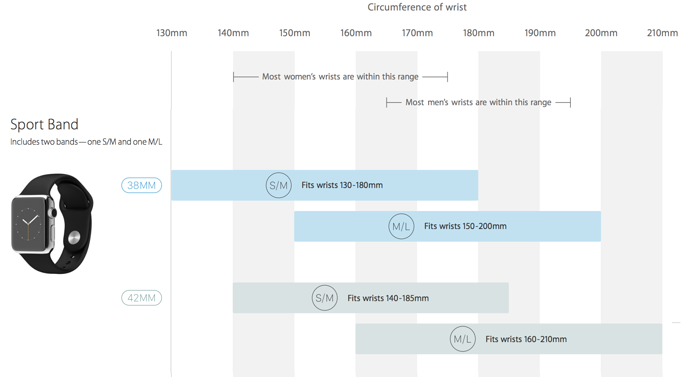 Apple Watch Has 2 different Sizes, 38mm and 42mm. They are similar in size, yet the subtle difference can make quite the difference. One thing to keep in mind is that the 42mm model is $50 more expensive than the 38mm size. Which Size is Best for your wrist? It really depends. What matters is the size of your wrist and the band or strap you wish to buy with your Apple Watch. 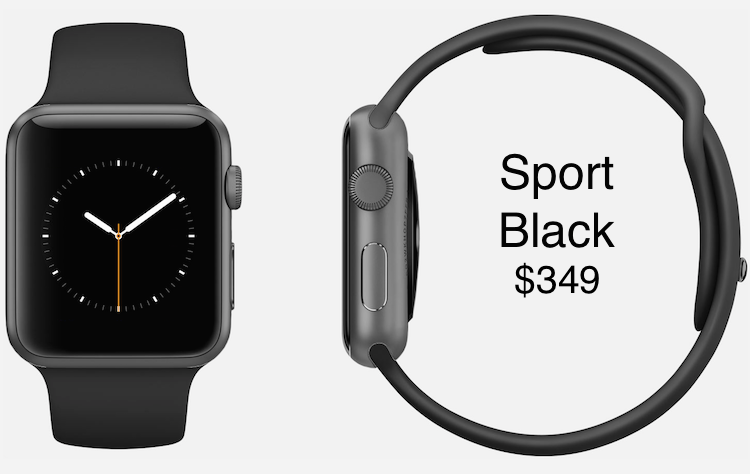 The basic model Apple Watch, the Sport edition, comes with two (2) bands. 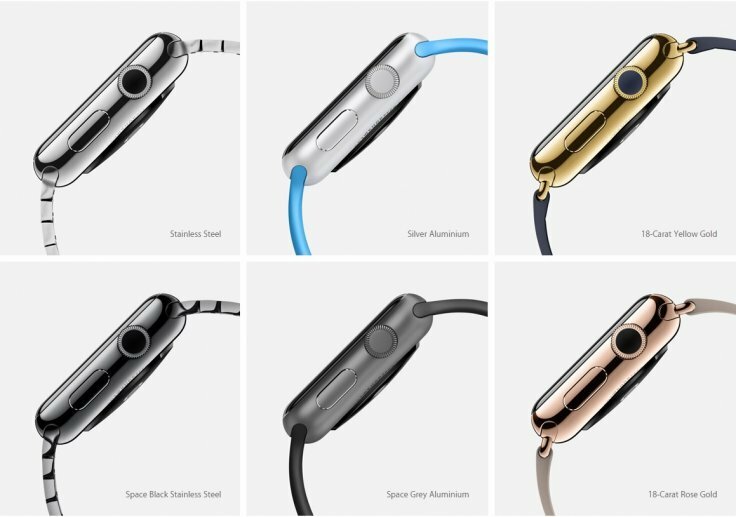 One band is Small/Medium and the other band is Medium/Large. 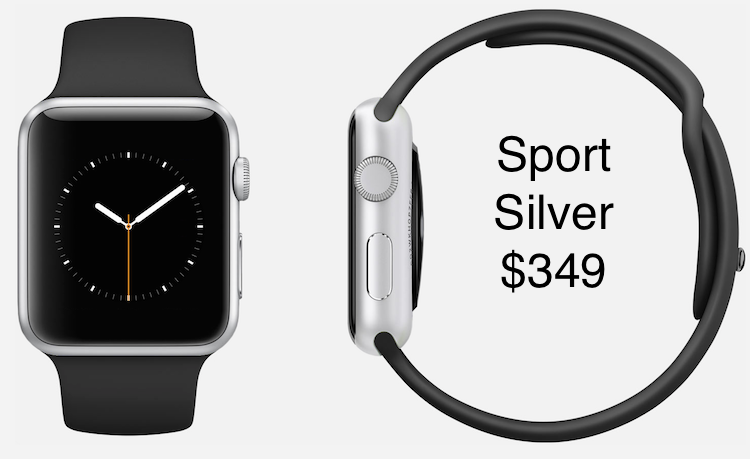 The entry level Stainless Steel will also include these 2 sport bands. 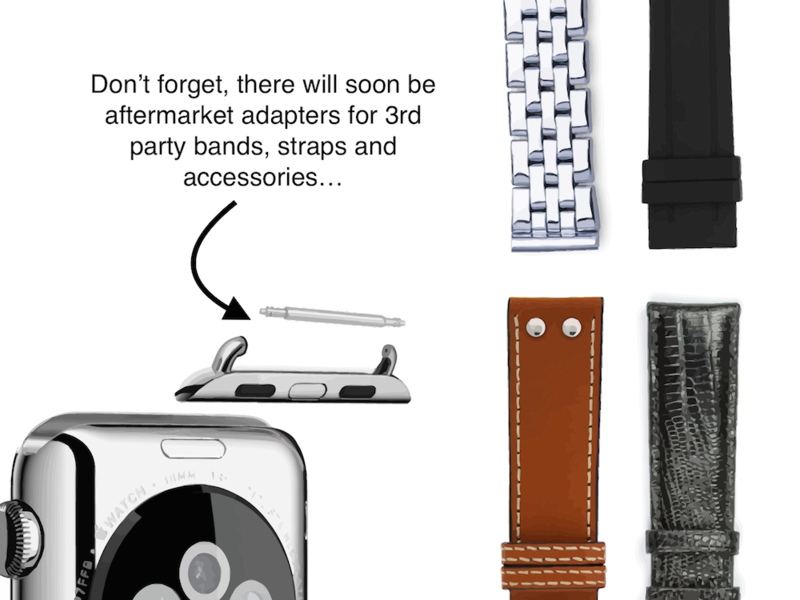 Which Band or Bracelet Should you get? 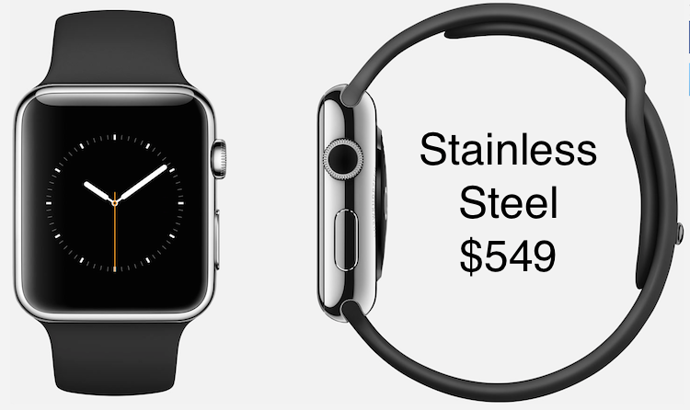 As you notice the leather loop is $149 and the modern buckle is $249, and the Link bracelet is even $449! 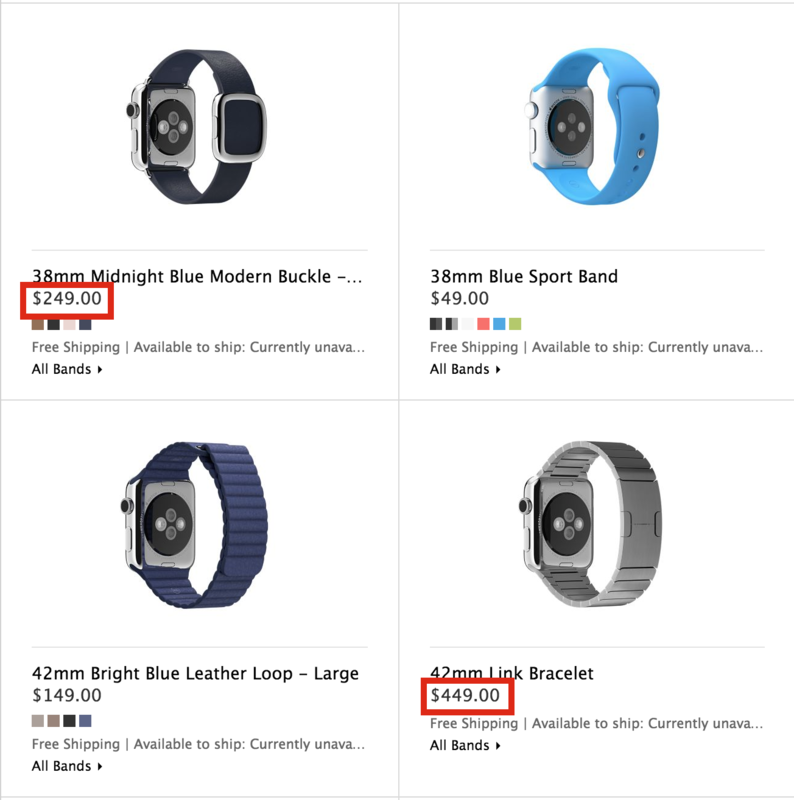 We think this pretty expensive for just the band and that Apple is trying to upsell you to get more money out of your purchase. While these might be nice bracelets, it's hard to tell right now — especially if you're going to pre-order and receive it on launch day. Keep in mind you can always upgrade and buy a new band later. Even though you do save $50 when you buy an upgraded band with the Apple Watch, the downside is if you don't like the band it's not 100% sure Apple will allow you to return just the band and not the whole watch.